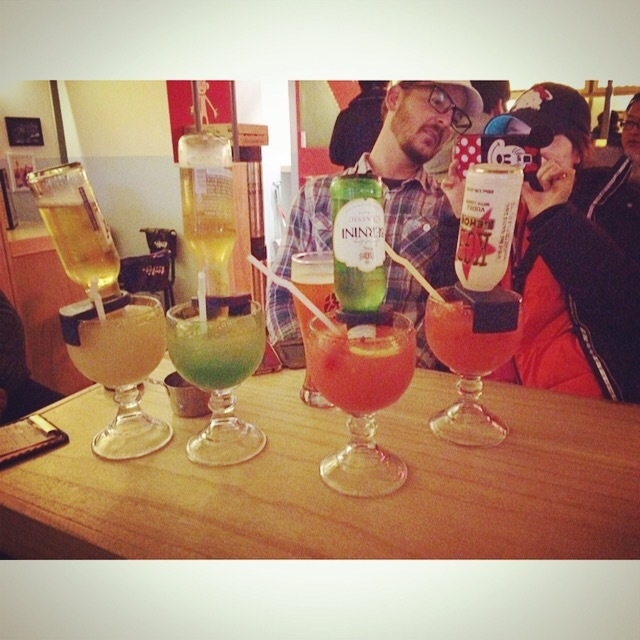 To continue the new year’s celebrations some friends battled Korean holiday traffic to come visit. 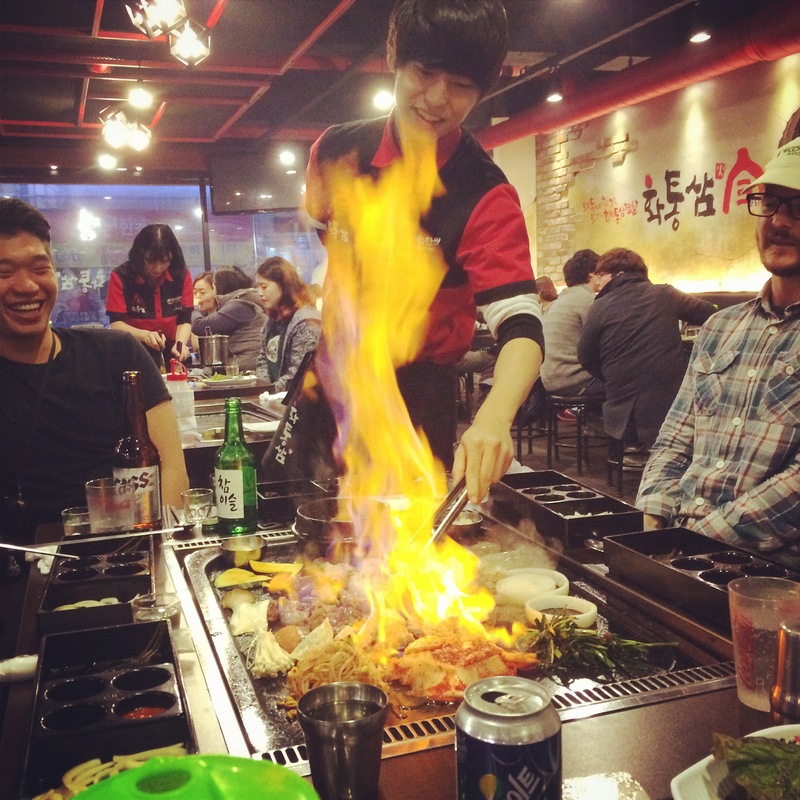 What better way to celebrate than with delicious Korean BBQ, topped off with a little fire. To keep the mood going we followed dinner with some drinks. Flavoured beer has become quite popular here, different juice and flavours with regular beer (Cass). Some of the flavours are a little too sweet for my liking. I tried a new combo this night (mine was the Bernini sparkling grape cider in grapefruit juice) and it was amazing!